Seattle-bound? Here are suggestions for a nice hotel. 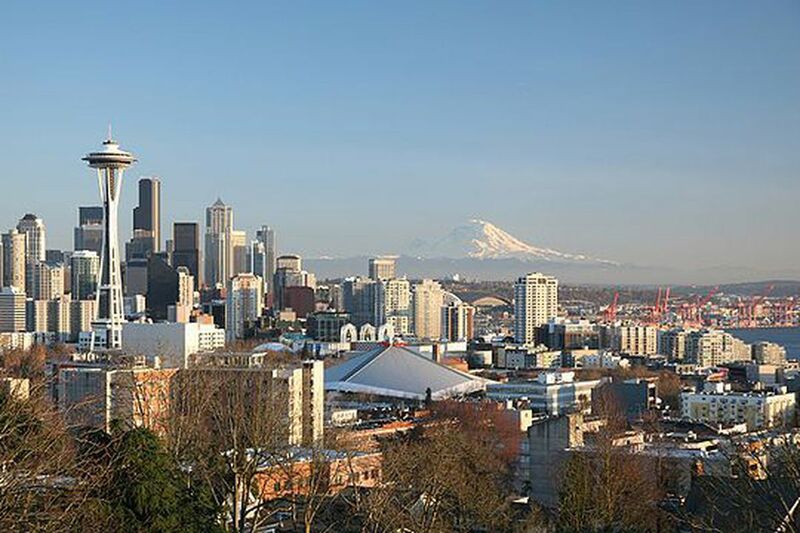 Whether you're coming to Seattle for a game, some shopping, a concert or just a getaway, chances are you'll need a place to stay. There are literally hundreds of options, in addition to leaning on your friends and family in the Seattle area: hotels, hostels, Airbnb or other rent-a-room schemes. 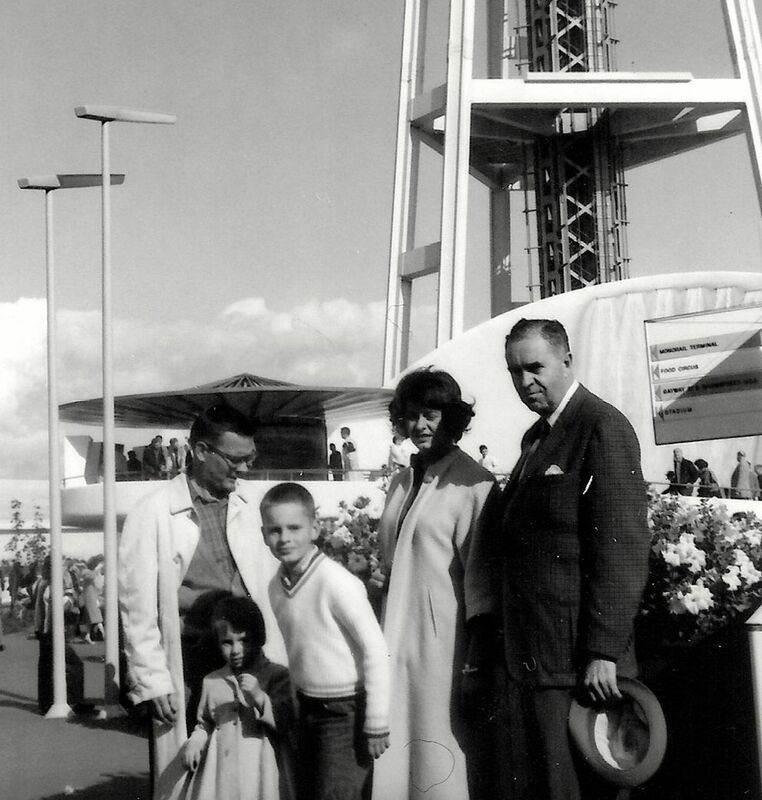 I can't remember the name of the hotel where our family stayed while visiting the Seattle World's Fair in 1962, but we had a great time on my first visit to the Emerald City. As I write this, I'm staying at the Grand Hyatt, downtown at Seventh and Pine Street. At the last minute, rooms were scarce. The published rate was more than $400, so I cashed in 15,000 points from my Chase card (moving them over to my Hyatt Gold Passport account). It's a big room with a king-sized bed and floor-to-ceiling windows, just a couple of blocks from Nordstrom. Those credit card points really come in handy! If you want a complete list of hotels, check with the folks at Visit Seattle website. There are about 80 hotels on their site. It's a bit overwhelming for me, but at least it's a good resource with phone numbers and addresses. Hotel Monaco: I've stayed at many Kimpton Hotels — and the Monaco has its share of whimsy. Just walk through the lobby, which is painted in all sorts of bright colors and bold patterns. High ceilings and welcoming public areas are trademarks of the hotel. There's a manager's reception each evening, when they pour local wines. There's also coffee served in the lobby. I'm particularly fond of the restaurant, Sazerac. It's a great place for breakfast. Last time I ordered "Eggs in Hell": eggs over easy, red beans, Andouille sausage and creole sauce. Located at the corner of Fourth Avenue and Spring Street, the Hotel Monaco has a last-minute special from $185 per night. Hotel Max: Located just behind Pacific Place at 620 Stewart St., two blocks from the light rail, Hotel Max is a comfy place. The rooms are a little smaller and the prices are a little nicer. It's a good location for shopping and dining. They've done a great job dressing up the place, complete with a "Sub Pop" floor, where the rooms come with vinyl records and a record player. There's a "craft beer" hour, along with free coffee in the lobby. If you want really good coffee, though, take a walk over to Caffe Senso Unico. It's just a block away at 622 Olive Way. Rooms at Hotel Max start at $140, but they offer a discount if you book online and prepay. Hotel 5: Right in the shadow of the Monorail, this used to be the Ramada Inn before the folks at Pineapple Hospitality gave it a makeover. It's just a block from Top Pot Doughnuts, one of my favorite Seattle hangouts. Rooms start at about $125 per night, depending on when you stay. The wall art and the paint jobs are pretty bright. Located at 2200 Fifth Ave., it's close to several of Seattle uber-chef Tom Douglas' restaurants, including Serious Pie on Virginia Street. Hotel Ändra: Located at Fourth Avenue and Virginia Street, the Hotel Ändra has a Scandinavian feel to it, with clean lines, light wood and "minimalist" furniture. Don't worry, though — the beds are comfy! There's a Tom Douglas restaurant, Lola, in the lobby. This is another one of my favorite restaurants for breakfast or lunch. The "Lola breakfast" features eggs, pork-maple sausage and garlic potatoes. But if you're feeling adventurous, get "Tom's favorite breakfast," with Mediterranean octopus, peppers, tomatoes, yogurt, egg and toast. Rates at the Hotel Ändra range from $195 to $315 per night. Hyatt Place Seattle Downtown: I spent a week here last year while attending a workshop a couple of blocks away. It's located in the shadow of the Space Needle, so it's a bit of a walk from the light rail station at Westlake Center. If you call ahead, they will send a hotel shuttle to pick you up. The hotel was built a couple of years ago from the ground up and features very comfortable rooms, a hearty breakfast, plus a 24-hour snack bar in the lobby. There are 42-inch TVs in the room, but as soon as my head hit the pillow, I was asleep. As a Hyatt Gold Passport member, you can get rates that are a little better. During Thanksgiving week, the rates are as low as $135 per night. When I stayed, I used my credit card points (12,000 per night). Hilton Seattle Airport: I think this is one of the nicest hotels at Sea-Tac. Usually I use Priceline to book airport hotels, and I've had good luck staying here and at the Doubletree down the street for under $100 per night. Right now, though, there's a $116 rate at the airport Hilton, which is pretty good for a hotel you can walk to the airport from (although they do have a shuttle). I had a very nice steak in the lobby restaurant and the beds were very comfortable. The last time I was there they wanted to charge $15 to access the Wi-Fi. There are many other hotels built to cater to a specific crowd. There are several hotels, including Hotel Sorrento, which are close to several hospitals on "Pill Hill" (the nickname for the First Hill neighborhood, located close to several hospitals). If you're headed to a Seahawks game, you might want to stay across from the stadium at the Silver Cloud. If you're visiting the University of Washington, I love the University Inn. One standout feature is the hotel's super-fast Wi-Fi. These are just a few suggestions. Maybe it's time for you to visit Seattle and find a hotel you can call your own!